I have the same problem in Kubuntu 13.10. This fix has been found by Surfraz Ahmed (surfraz), in no way am I taking credits for this, i created a patch file so as others can understand how to patch this. The attachment "sck_pkgGL_Patch" seems to be a patch. If it isn't, please remove the "patch" flag from the attachment, remove the "patch" tag, and if you are a member of the ~ubuntu-reviewers, unsubscribe the team. 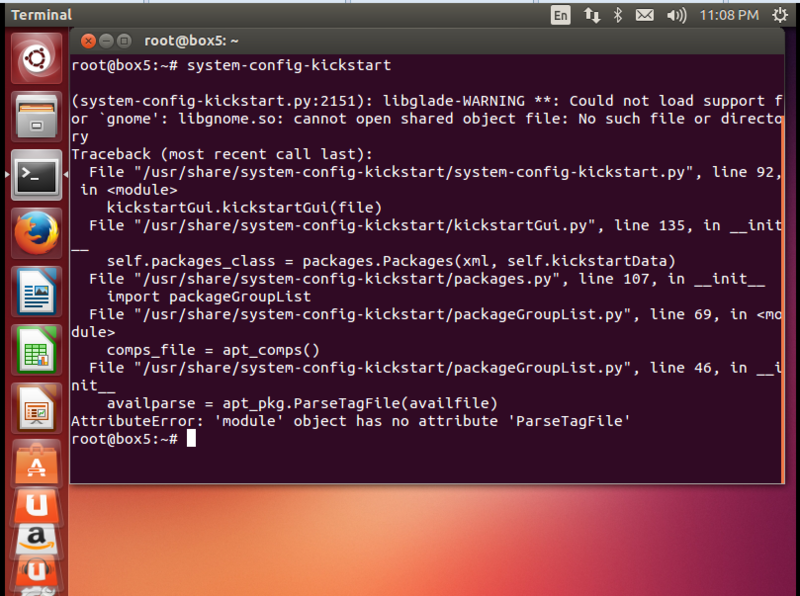 * packageGroupList.py: update for changes in ParseTagFile of apt_pkg. This bug still exists even in 13.04 desktop 64 Bit release. The patch provided by PC_THE_GREAT (pcthegreat) fixed my problem too. My .py file was different than OP's. I am quite disappointed to say that the bug is still now fixed in 14.04 release. This patch does not fixes the issue in this release. Please find the attached screenshot of the error. Any suggestion to resolve this ? The error from comment #9 is actually bug 1260107. I ran into this as well..
Another site suggested this from debian which works. You need to install libgnomeui-0 additionaly.